Hard working and dedicated family man. 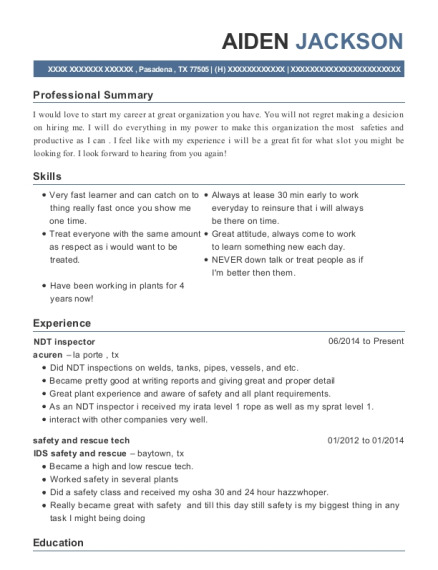 I am accustomed to 40-60 hours in any given work week. I am a fast learner and my family keeps me highly motivated. Scheduled and dispatched workers, equipment, and service vehicles to appropriate locations, according to customer requests, specifications, or needs. Confer with customers to address questions, problems, or requests for service or equipment. Present bills and receipts and collect payments for services completed. Administered bedside and personal care, such as ambulation or personal hygiene assistance. Prepared and maintained records of client progress and services performed, reported changes in clients condition to manager or supervisor. Performed healthcare-related tasks, such as monitoring vital signs and medication, under the direction of registered nurses and physiotherapists. Trained family members to provide bedside care. Transported clients to locations outside the home, such as to physicians' offices or on outings. Participated in case reviews, consulting with the team caring for the client, to evaluate the client's needs and plan for continuing services. 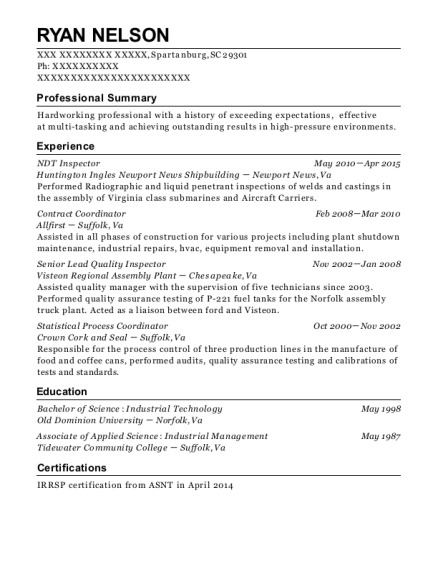 This is a resume for a NDT in Wayne, West Virginia with experience working for such companies as Special Metals and Reyburns Towing. 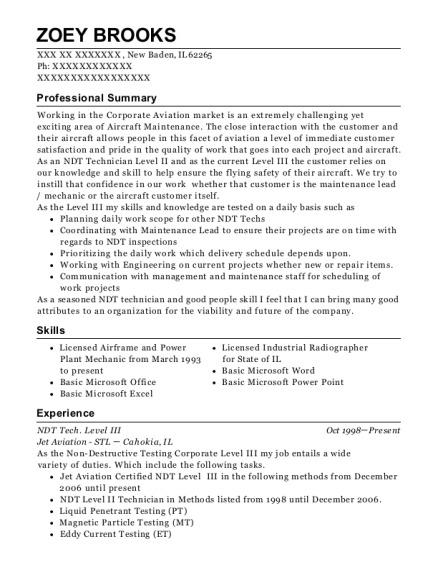 The grade for this resume is 0 and is one of hundreds of NDT resumes available on our site for free. 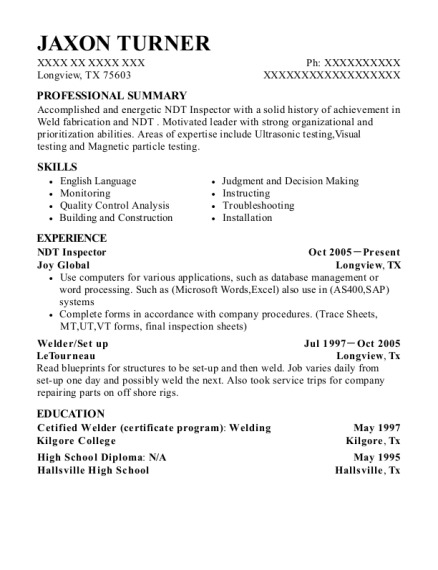 Use these resumes as templates to get help creating the best NDT resume.